For years, I’ve kept a journal, using any number of word-processing programs for this. Microsoft Word, of course, and Apple’s Pages, and Mellel (a Mac-only word-processor I liked for a couple of years), Google Docs, and even SimpleNote, a note-taking tool for the web and my iPhone. I wasn’t really looking for something new for keeping a journal — after all, you don’t need much more than a blank page — but then I heard about raves for Day One, a Mac and iOS app. I took a look, bought the Mac version ($10) and the iPhone version ($2), and now I’m a bonafide Day One fan. It’s got a simple, great-looking interface. I can keep the Mac and iPhone versions synced with Dropbox (or iCloud). A couple keystrokes, and I can “lock” the journal. It’s got some stylish user interface features, like the ability to hover over dates on a calendar to scan your journal entries. I appreciate having a well-designed writing tool tailored to one task, journal writing. This is all something of a surprise to me — my infatuation with Day One, that is — because I almost always prefer to use just one tool for writing, rather than many. In fact, I’ve been frustrated over the past few years over the need to use so many different writing tools (Word, Google Docs, Pages, and so forth), depending on what I’m writing (and whether I’m collaborating with others). But I’m getting used to it. I’ve been struggling with e-books lately. I keep thinking I should go ahead and join the e-book revolution, just as I have with music and photography and so much else, but I just can’t get into it. I have read e-books, but I still prefer traditional, printed books, for any number of reasons. Certainly one of them is their beauty as objects. That’s one of the reasons I love Leah Price’s book “Unpacking My Library: Writers and Their Books.” This is a beautiful book, and it’s about, in part, the beauty of books, and the writers who love them. 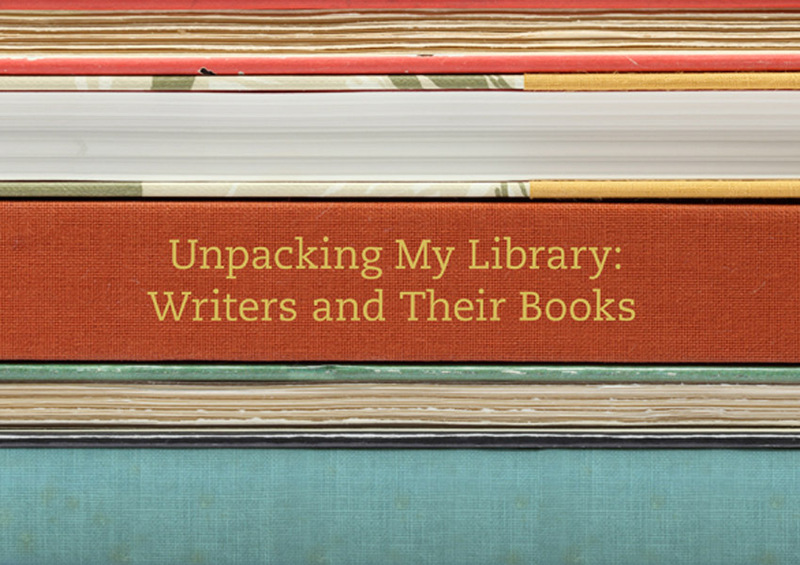 The book puts the spotlight on the personal libraries of 13 novelists, with close-up photos of their shelves. Why do I love (printed) books? This book says it all. Over the past couple of days, I’ve been opening 1,000+ Word documents on my computer, one by one, and converting them from a very, very old Word format (“Microsoft Word 1.x-5.x”) to something I’ll actually be able to read and open on my computer. It’s a laborious process. When Microsoft “upgraded” to Office 2008 for the Mac, the company decided it was necessary to make it super-difficult to work with some older Word file formats. I’ve actually known about this issue for years — I wrote a column touching on it three years ago — but I only decided to tackle it now, in part because I’m trying to weed out documents in old file formats (old Word, old AppleWorks) before I upgrade to Apple OS X Lion. And I’m guessing plenty of writers — or, really, anyone who’s used a computer for writing (uh, like everyone) — have no idea that they may have many, many orphaned documents on their computers. Poems. Love letters. Journals. Whatever. The longer you wait to convert those documents, the harder it gets — until it’s nearly impossible to retrieve the text. I have some documents I trashed: I had no idea how to retrieve the information in them. I’m sure it could be done, somehow, but I couldn’t figure out how. Looking back through my old files, I’m amazed to see how many word processors I’ve used over the years. I’ve got document files in formats ranging from MacWrite to Pages and everything in between. The problem is, a lot of those old files are useless to me now: None of my current word processors can read them. That’s a shame; some of those old words were pretty good. His solution? Use plain text. Sensible advice, no doubt, though the mix of tools he uses, for different purposes, seems a bit complex to me. That said, I guess it’s something like my ad-hoc system, using Pages, SimpleNote, Google Docs, and Word (if I must). And now, as I’m dealing with this mess of old Word files, I’m going to start rethinking how I save documents. Should I use plain text? Or Google Docs? I’m not quite sure.